Its notable alumni include Conrad Hilton, founder of the hotel chain that bears his name; movie actor, Owen Wilson; ABC News Anchor Sam Donaldson; and Dallas Cowboys Hall of Fame quarterback, Roger Staubach—among others. Its motto, “Duty, Honor, and Achievement,” has stood the test of time—through two World Wars, where the school prepared hundreds of military officers to serve with honor, including WWII Medal of Honor recipient, John C. Morgan. Today, the New Mexico Military Institute (NMMI) continues its time-honored tradition of educating men and women—referred to as “cadets”—on its scenic 300-acre campus in Roswell, New Mexico. Today, NMMI holds the distinction of being listed on the National Register of Historic Places. Founded in 1891, this land-grant institution is the only state-supported co-ed college preparatory military boarding high school, and one of only nine military junior colleges in the United States. Through NMMI’s Army ROTC program, approximately 30 cadets receive commissions as US Army 2nd Lieutenants; in addition, every year, approximately 100 cadets go on to attend one of the five main US service academies. As an educational institution, NMMI has long been committed to keeping in touch with its 900+ students and their families as well as its faculty and the broader community. For this reason, in 2007, the Institute severed ties with its former service provider, choosing to work with service leader, Continuant, to maintain its Avaya voice systems. After replacing its Avaya systems with Cisco systems, NMMI then turned to Continuant to provide managed services for its Cisco voice and data network. Today, in addition to providing campus-wide maintenance and support for Cisco voice and data systems, Continuant is also working to help NMMI convert to a Managed Services option. 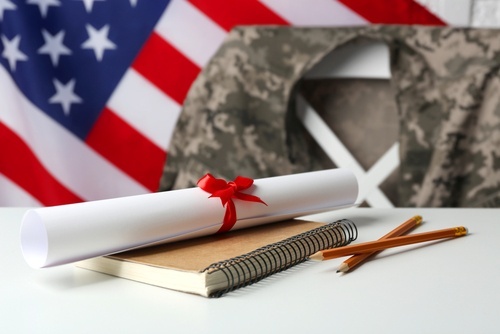 With its philosophy of hiring US Military Veterans and its unique culture of high service and high-level Cisco engineering expertise, Continuant has proven to be a great match for NMMI. We know what it means to serve.